From the ongoing Brexit negotiations to the rise of illiberal populism, the European Union has found itself confronting a variety of existential political threats. Yet despite this turmoil, the values of the European Union remain an aspirational model of political and economic governance for much of the world. As a member of the Russian-led Eurasian Economic Union and participant in the EU’s Eastern Partnership initiative, Armenia represents one of many contested grounds between Brussels and Moscow in the post-Soviet space. Following the recent parliamentary elections and continuing anti-corruption push since the Velvet Revolution, it is possible that Armenia’s post-revolution momentum may meet the newfound enthusiasm for the European project expressed by Chancellor Merkel and President Macron. This paper will present a forecast of Armenia-EU relations for the near future and new potential areas of cooperation. Most importantly, this paper will detail how the various crises facing the European Union (such as Eurozone instability, the spread of populism, and the fraying relations with Turkey) may jeopardize this relationship, and what policies may be enacted to alleviate this threat. 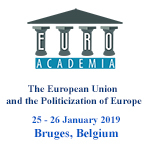 This paper will include a brief review of relations between Brussels and Yerevan since 1991 alongside which policy areas that would conflict with Russian interests in the South Caucasus. The main legal basis of this study is the Comprehensive and Enhanced Partnership Agreement (CEPA), a treaty signed in late 2017 that is based on the cancelled 2013 Armenia-EU Association Agreement. This analysis will also draw heavily from Ofelya Sargsyan’s “Pleading For Armenia’s Accession to the European Union”, as well as the exploratory whitepapers regarding PESCO and other proposed EU initiatives, in its policy recommendations.